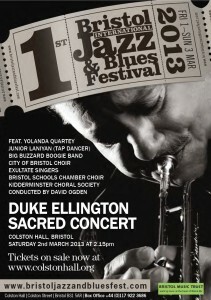 Saturday 2nd March 2013 at 2.15pm David directs a chorus of 180 voices from City of Bristol Choir, Exultate Singers, Bristol Schools Chamber Choir and Kidderminster Choral Society together with the Big Buzzard Boogie Band, vocalist Yolanda Quartey and tap dancer Junior Laniyan in a performance of Duke Ellington’s Sacred Concert in Bristol’s first International Jazz & Blues Festival. The performance takes place at the Colston Hall. 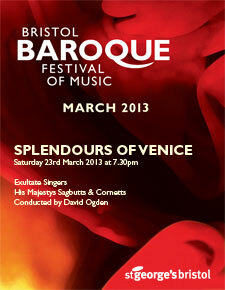 Tickets £15 for adults, £5 for children under 18 from Colston Hall box office 0117 922 3686. 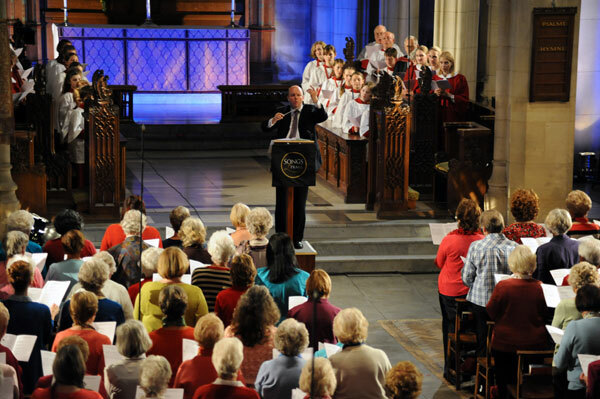 Saturday 16th February 2013, 11am-4pm Now in its 3rd successful year, join David, members of City of Bristol Choir and fellow fans of musicals and films for an unashamedly indulgent day of singing the blockbusting hits from The Lion King, Wicked, Phantom of the Opera and Oliver, together with pop songs by Adele. The day culminates in a grand (but very informal) showcase performed by the day’s cast accompanied by a live band. Christmas Day at noon, BBC Radio 4 A festive edition of the programme which invites a celebrity to raid their memories in search of the pieces of writing and music which best sum up their lives. Fi Glover, one of the BBC’s most cherished radio presenters, steps up with a wonderfully varied selection of readings, from a nursery rhyme to Aristotle by way of Alan Bennett and John Mortimer. 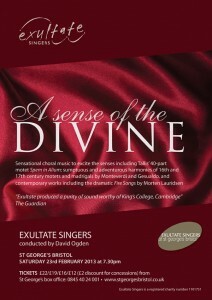 David and Exultate Singers provide the finishing celebratory touch. Repeated Friday 28 December at 9pm.